Performance Media Group is dedicated to improving media performance, accelerating innovation, and enhancing the success of our clients’ businesses. Xaxis, Triad, Finecast, and plista, are leaders in applying advanced technology and intelligent data in inventive ways to serve advertisers and enrich audiences. Performance Media Group activates the extensive international resources and rich talent network of these companies, identifying the unmet needs of our clients and scouting new media opportunities in order to build scaled solutions that maximize performance for 4,000+ clients across 50 global markets. "With outcome-driven media, we want to move away from traditional digital buying metrics to bring more accountability to the digital supply chain and help marketers achieve programmatic results that tie more closely to their strategic marketing goals." Xaxis is The Outcome Media Company. We combine unique brand-safe media access, unrivalled programmatic expertise, and 360-degree data with proprietary artificial intelligence to help global brands achieve the outcomes they value from their digital media investments. Xaxis offers managed programmatic services in 47 markets, including North America, Europe, Asia Pacific, Latin America, the Middle East, and Africa. For more information, visit www.xaxis.com. "User experience is everything, and advertising products should keep that belief at their core. Technology, techniques, data, analytics – they should all work in service of developing a stronger relationship between consumers and advertisers." 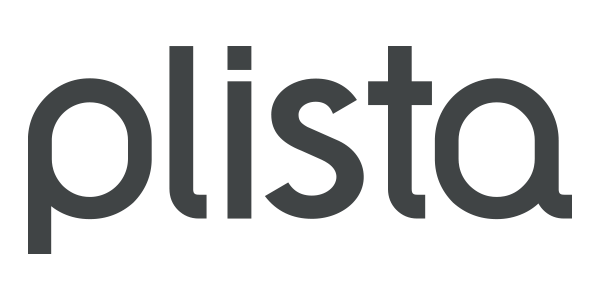 plista is an innovative, data-driven advertising platform that turns content into business outcomes across all native formats. Our premium inventory, proprietary recommendation and real-time technology, as well as self-serve platform have helped influential brands elevate their digital media efforts for more than ten years. Please check our website here. "As content, media, and technology continuously transform the customer experience, brands look to us to navigate a complex and evolving retail landscape." Triad is a global media, creative and technology partner that specializes in growing brands in all retail environments. From consulting and creative content, to media buying and analytics, Triad helps brands uncover insights into their customers’ shopping behaviors. Since 2004, retailers including Walmart, Sam’s Club, CVS and Bed Bath and Beyond, have relied on Triad to create new revenue streams that don't rely solely on selling products. Triad is a WPP-owned company based in St. Petersburg, Florida, with offices in New York, Chicago, and Rogers, Arkansas. To learn more, visit www.TriadRetail.com. "Our finely-tuned addressable TV solution helps marketers bring the precision and efficiency of data-driven, digital marketing to TV advertising for the first time." Finecast’s addressable TV solution is a game-changing platform for digital marketers in the UK, Australia and is expanding into more markets. Through established partnerships with broadcasters, distributors, data providers, and technology enablers, we can unite TV audiences, advertisers, and content creators with greater efficiency, accuracy, and effectiveness than ever before. Check out our website here.